A stress test is one of the most useful tools for measuring your heart’s function. Cardiology Now offers safe, well supervised, and reasonably priced on-site stress tests to Denver and Englewood, Colorado area patients. Abid Husain, MD, FACC, a board-certified cardiologist at Cardiology Now, offers same-day or next-day service with fast results. Book your appointment by phone or through the online scheduler today. 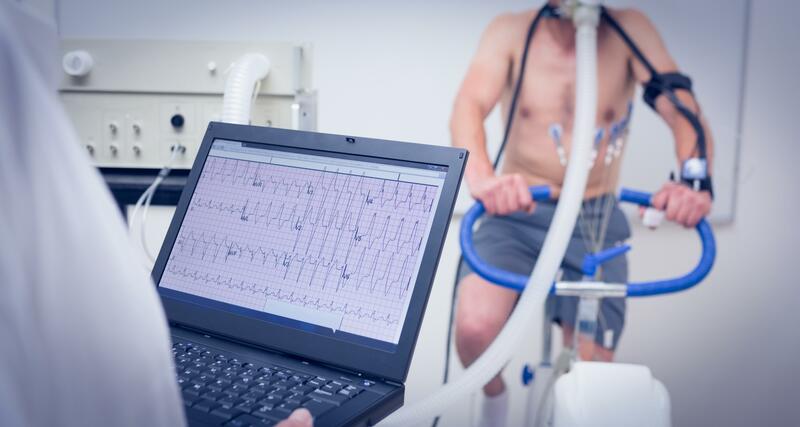 A stress test is a way to monitor your heart's activity during physical exertion. A stress test can reveal problems with your heart function, so it's often one of the tests you'll undergo if you've recently had chest pain or other problems possibly related to coronary heart disease. If you have significant risk factors for heart disease, such as being a heavy smoker and being over the age of 40, your cardiologist may use a stress test to monitor your heart health. If you're starting an exercise program for the first time, or you're making significant changes to your physical activity level, your cardiologist may use a stress test to make sure you're healthy enough to do so. With a stress test on-site at Cardiology Now, Dr. Husain determines how much activity is safe for you. You'll typically use a treadmill or a stationary bike while your cardiologist closely monitors your heart activity, breathing, and blood pressure. If you have health problems that make it too dangerous to exercise, you may have a pharmacological stress test instead. In a pharmacological stress test, your cardiologist uses medication to induce the effects of physical activity so you won't actually exercise. How do I get ready for a stress test? A member of the Cardiology Now team gives you specific preparation instructions when you schedule your stress test. Usually, guidelines include avoiding caffeine and not eating for a few hours ahead of your appointment. It's fine to have water, but no other beverages. Wear loose and comfortable lightweight clothing with sturdy shoes to your stress test. Consider layering clothes that you can remove if you get overheated. A Cardiology Now team member reviews your medications with you ahead of your stress test. If you take a beta blocker or calcium channel blocker medications, you may need to discontinue those for a day or two as directed by your cardiologist. Stress tests at Cardiology Now are safe, closely monitored, and convenient — and you get same-day results, too. Use the online scheduler or call Cardiology Now to book your same-day or next-day appointment.